ST. GEORGE – St. George resident Naghi Zeenati, an area real estate and development professional, was appointed last month by Gov. Gary Herbert to be the chairman of the Utah State Transportation Commission. 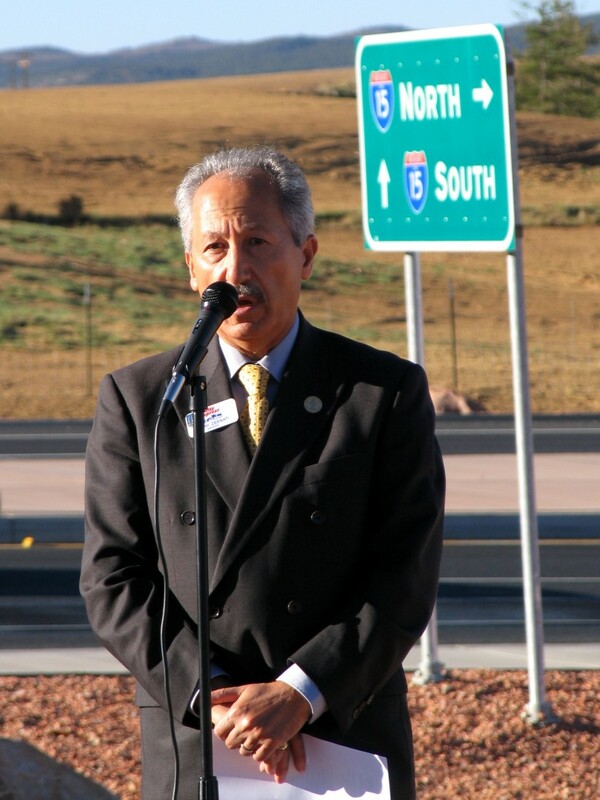 The owner of Realty Express and a current and former member of many community groups in Southern Utah, Zeenati has served on the Transportation Commission since 2013. He now replaces outgoing chair J. Kent Millington, whose term of service has expired. The Utah State Transportation Commission is an independent advisory body that works with the Utah Department of Transportation and prioritizes state-wide transportation projects and decides how funds allocated for transportation by the state legislature are spent. One of the commission’s recent actions related to Southern Utah was voting to fund a potential transit route between Springdale and St. George to the tune of $15 million. As a member of the commission, Zeenati represents the interests of Washington, Iron, Kane, Garfield, Beaver, San Juan, Grand, Carbon, Emery, Millard, Piute, Sanpete, Sevier and Wayne counties. As to Southern Utah, Zeenati said the biggest issues moving into the future are congestion and safety, particularly when considering Washington County’s continuing growth and tourist visitation. “Without (the) Northern Corridor, stifling congestion would be accelerated at Green Springs, Telegraph Road, and on St. George Boulevard, Red Hills Parkway, Red Cliffs Drive, and (Interstate 15),” he said. The northern corridor would connect Washington Parkway to Red Hills Parkway and provide a link between the western part of the county and I-15 through the Washington Parkway/Exit 13 interchange. While long-touted by local and state road planners as a much needed addition to Southern Utah’s transportation infrastructure, the proposal has drawn opposition from environmental advocates due to its planned route cutting through a part of the protected Red Cliffs Desert Reserve. Those who have worked with Zeenati in his capacity as a member of the commission say they’re happy to see him made the new chair. Kevin Kitchen, a spokesman for the Utah Department of Transportation, said working with the Transportation Commission is “really a pleasure” and that the commissioners “really trust” UDOT. The commissioners are also great sources for local input from the areas they represent, Kitchen said, adding that Zeenati is an excellent advocate for Southern Utah. Washington County Commissioner Zachary Renstrom said Zeenati is very concerned about getting feedback from the public on transportation projects and is very respectful of those he works with and those who share their opinions with him. Zeenati is a nationalized U.S. citizen born in Iran who came to the country in the late 1970s. He moved to St. George from California in 1991 and married Louise Gardner of St. George two years later. The two have been active volunteers with the Huntsman World Senior Games since that time. He has also been a captain of the Community Action Team for the St. George Police Department and a board member of the Children’s Justice Center. Zeenati also provides volunteer translation services for the Church of Jesus Christ of Latter-day Saints. “This beautiful state and her wonderful citizens have given me more than I deserve, so I am giving back as much as I can by serving others and it has been a pure joy!” Zeenati said. Ed. note: It was reported in error that Naghi Zeenati had been the president of a local chapter of the Kiwanis Club. He previously served as the president of the club in Rohnert Park-Cotati, California.